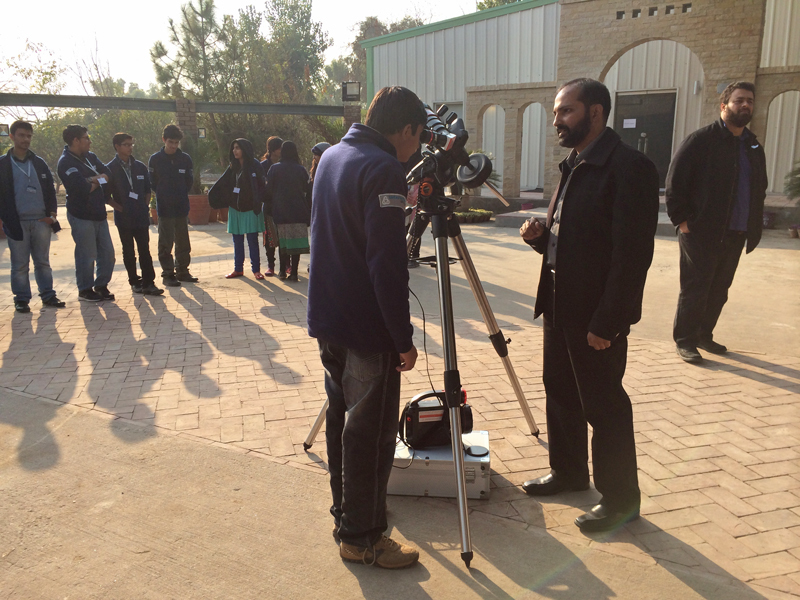 In the last week of December 2013, i went to Buraq Planetary Society's camp in Chak Shehzad, Islamabad. I carried with me lunt 60 hydrogen alpha solar telescope. 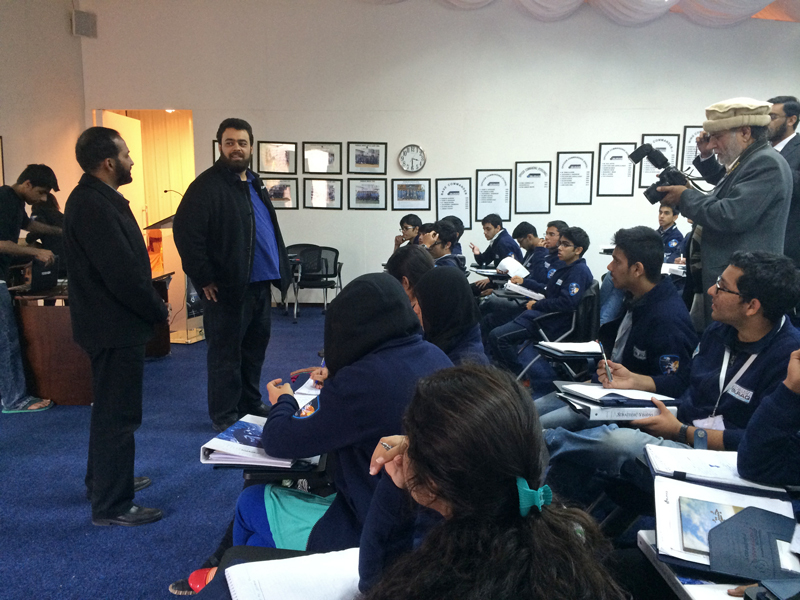 It was a wonderful experience.. Buraq Society selects a number of students across Pakistan and expose them with many lectures, demonstrations and hands on activities for about 10 days. They have been doing it for the last 20 years now and it was their 10th Space Camp. In the afternoon, I mounted the solar telescope on Celestron VX mount and showed the sun to all 40 students (ages 14-16) with a Televue 9mm eyepiece. 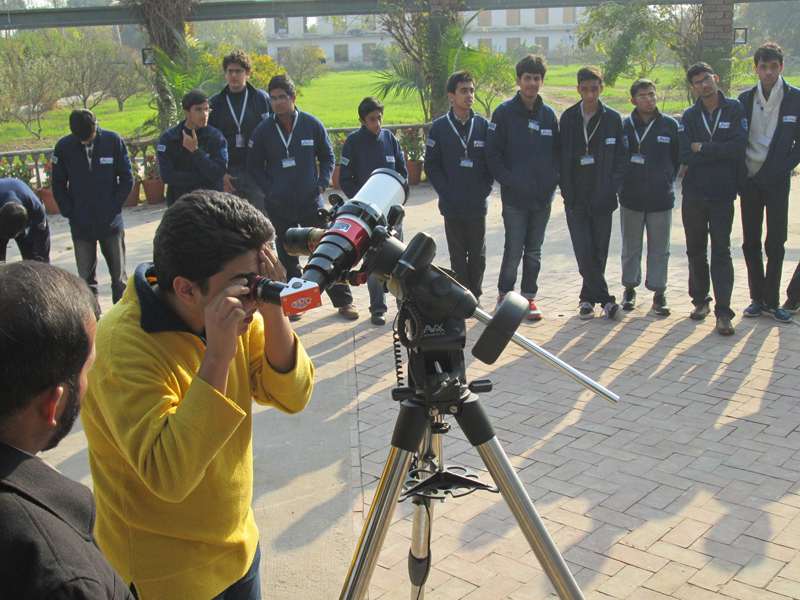 They were amazed to see a couple of sunspots, prominences and the textured solar surface. It was there first experience and they were totally mesmerized to see the sun in so much detail. I was asked many questions about solar magnetism, sunspots and prominences.. as well as usual WOWs and Oh my God. I am thankful to Buraq people for inviting me over there and for their wonderful hospitality. I will be taking the big Lunt`152 in their next space camp!